According to the U.S. Park Service in the Great Smoky National Park, the most direct route is to exit Interstate 40 at North Carolina Exit 20. Turn right onto Cove Creek Road and follow the signs for 12 miles until you reach Cataloochee Valley. NOTE: this is a steep, narrow, winding gravel road with sharp drop-offs and no guard rails. You may be required to halt or even back up to accommodate campers or horse trailers. It will take approximately 45 minutes to reach your destination once you exit I-40. 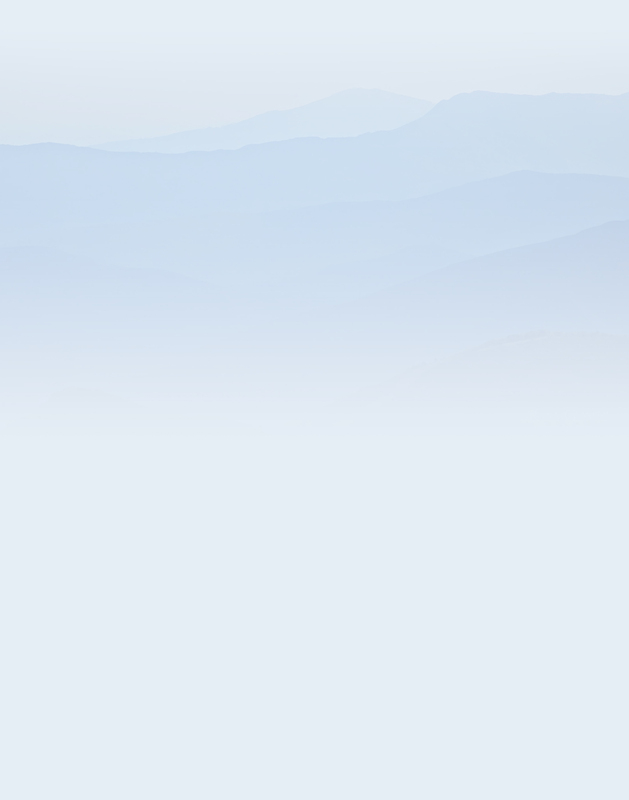 To arrive from Cherokee, take the Blue Ridge Parkway toward Asheville and connect with Highway 19. Follow Hwy. 19 through Maggie Valley and turn left onto Highway 276 N. Turn left just before the entrance ramp to I-40 and follow the signs 12 miles into Cataloochee. The eerie sounds of bugling elk echoes through the morning mist signaling the beginning of a new day in Cataloochee Valley. A common sight to early settlers of the valley, the last Elk in North Carolina was believed to be killed in the late 1700’s. The animals were reintroduced to the park in 2001 when the National Park Service brought 25 elk from an area along the Tennessee-Kentucky border and provided them a new habitat in the sheltered Cataloochee Valleys. Another 25 were imported in 2002 . According to ncelk.org the herd now consists of some 140 animals located both inside and outside National Park Boundaries. The bulk of the funds for this $1.1 million project, some $700,000, were provided by the Rocky Mountain Elk foundation. 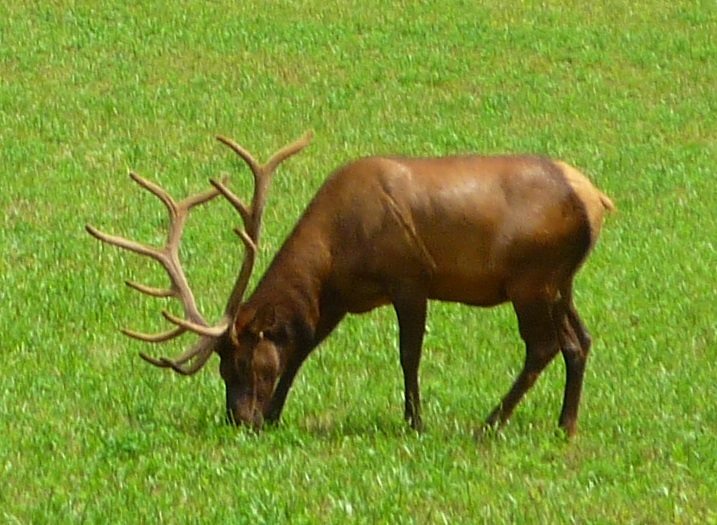 Most Elk are located in the southeastern section of Cataloochee, and are most often seen in spring and fall in the early morning or late evening, on cloudy summer days or after storms. Keep your distance: Do not enter the fields – elk are larger than black bears and can be dangerous. Female elk with calves may charge if their young are threatened, and males (bulls) may charge interlopers who enter their territory. Willfully approaching elk (150 feet, or any distance that disturbs elk) is a federal violation that can result in fines and arrest. Binoculars, telephoto lens or spotting scopes are the best and safest way to get up close and personal with these magnificent creatures. The serene valleys provided a perfect setting for the reintroduction. Surrounded by the 5,000-foot towering peaks of the Balsam Mountains, Cataloochee is comprised of three narrow, parallel valleys. Little Cataloochee is located between Sterling Ridge and Noland Mountain. 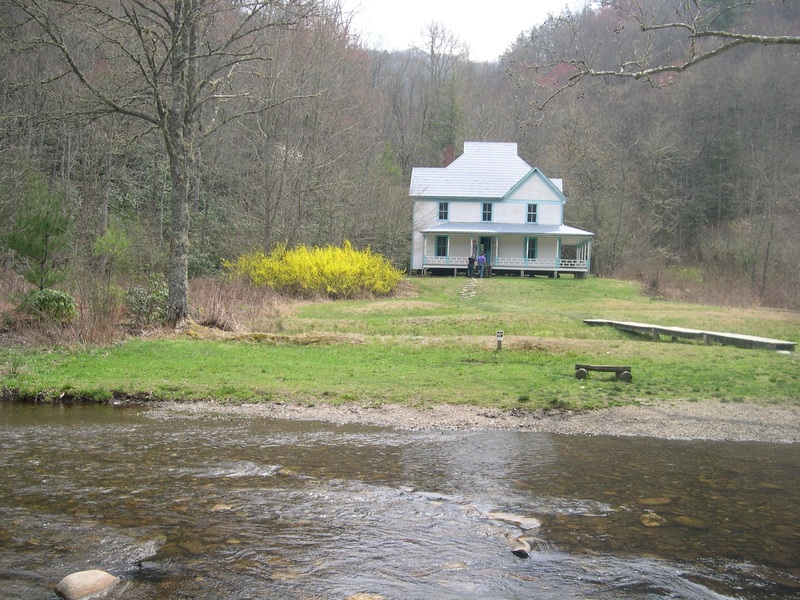 Further South is Big Cataloochee, a fertile bottomland, located along Cataloochee Creek, and Caldwell Fork which runs between Fork Ridge and the Cataloochee Divide. All are included in the Pigeon River Water Shed. According to Wikipedia, the name Cataloochee is derived from the Cherokee term Gadalusti, which means “fringe standing erect”, and is thought to refer to tall rows of trees along the surrounding ridges. Early settlers prized Cataloochee for the grassy balds and fertile bottomlands that provided bountiful pastures for free-range cattle, sheep and hogs. Life in early Cataloochee was fraught with dangers. Bears and panthers roamed the area and often feasted on local livestock. According to Wikipedia, early settlers and the Native Cherokees lived in harmony before the tribe ceded their ancient hunting grounds when they signed the Treaty of Holston in 1791. However, they continued to hunt and fish in the valley throughout the 19th century. Early history lives on in Coves Creek Road, which closely parallels the Cataloochee Trail, a Cherokee footpath (worn a foot deep by the time early settlers arrived) that stretched from the Cove Creek area to what is now Cosby Tennessee, linking Cherokee settlements. Although somewhat isolated, Cataloochee was largely pro-Confederate during the Civil War, and families suffered extreme hardships when many men left to fight for the Southern cause. During prohibition, most every householder made their own whiskey, mostly for personal use. The logging boom, that wreaked havoc on the majority of Southern Appalachia in the early 20th century, and ended with the national park movement in the 1920, mostly spared the Cataloochee area. Increasing interest in tourism and outrage over effects of excessive logging sparked a movement that called for the creation of a national park to protect areas of The Great Smoky Mountains. In 1928 the residents of Cataloochee learned that their valley would be included in the park’s boundary and that they would be forced to sell. Most were unhappy (more than a few were outraged) at this news, but the families were somewhat eased to learn that the sale would allow them to retain lifetime leases on their property and to remain in their homes. Many of these structures are preserved today by the National Park Service. Some of these historic structures include Little Cataloochee Baptist Church, built in 1889; Palmer Chapel,1898; The Palmer House, 1869; and the Steve Woody House, 1880, a self-guided museum, spring house, and barn; all located in Big Cataloochee. Other structures also remain including a large barn whose hayloft provides a perfect treetop venue to view the elk herd or an escape from a sudden storm. A self-guiding auto tour booklet, located at the entrance to Big Cataloochee, provides brief histories of each. Smoky Mountain Farmers Markets Open Weekend of May 13th! Get Your Fresh On!